There was a nice article on the guardian news paper few months ago, about how different brain/mind specialists see our change in thinking and organizing information in the days where most of our attention is spanned over web pages, short texts and funny pictures. Something in the linear way of thinking is wasted, sometimes for good, sometimes not. It’s Monday morning. After I made my coffee I put on Hakobune’s mini album and I was just about to press ‘Play’, but someone just sent me a link and I opened it as well as playing this album. Maybe you know this interactive animation, where you can travel upwards and downwards the scale from the size of the estimated size of the universe down to the size of quantum foam. I traveled through this amazing, somewhat reduced (obviously) journey, while listening to the music of Hakobune, when something did not seem right. I then discovered that I am actually listening to two types of music, to ‘Believed Remains’ and to the music that this web page apparently has. 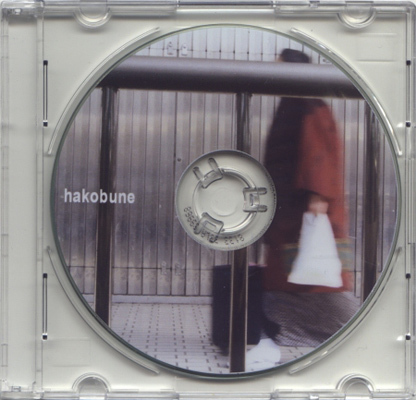 I closed the music on the webpage, and came to realize that Hakobune is doing more service to the website with the music of this mini album. Almost 24 minutes long, ‘Believed Remains’ is a slow buildup of soft layers of sound, adding up finally into an immense cloud of vibrant, foaming music. It is a meditative process, shifting and turning as Hakobune seems to attempt and locate and pull the right piece of the listener’s mind. In this galaxy of tiny musical events, ‘Believed remains’ converts all the elements inside it into small waves that make the brain vibrate. While listening to it, it actually does feel like a slow elevator, taking me on an endless cord through breath taking scenery. It’s all in the imagination, I Know, but Hakobune proves to be a great trigger to it.